Home » Vanities to the Floor » 50" to 79" » Kleinburg 72"
The Kleinburg, master of the old world look vanity will take the word décor to the next level. 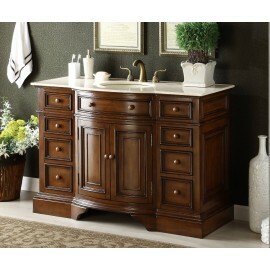 This antique style vanity sets a bold yet stunning new look for your bathroom. Cream marble countertop is made of the highest quality, will resist prolonged exposure to humid conditions, and has long durability. Two side compartments with half shelves provide plenty of storage space. 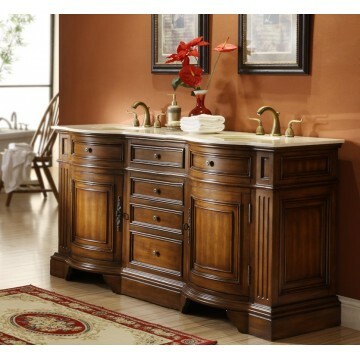 The two top drawers are decorative only, the rest are functional and are good storage spaces.